The (once) popular site to find interesting stories, pics and videos and what not over Internet, Digg seems to be off the main interest of Kevin Rose now. Kevin did his best to boost up the morale of Digg users and the traffic itself via a new redesign. Digg even got a new CEO but nothing seemed to be working so well for it. The story was first broke by Michael Arrington that Kevin has already left the company and is working on a new startup. Maybe Kevin Rose didn’t took the right decision with Digg at the right time. When Digg was launched in 2004, it was a rage over Internet. Noone had seen anything like that ever, so the traffic and the userbase increased overnight. Even Google proposed a takeover deal for it which would have been valued at $200,000,000, but never took off. Then came the real-time social places like Twitter and Facebook and Digg never managed to recover. Speaking about the future of Kevin Rose, he is financing $1 million for a new startup. There are no clear information available about this new startup of Kevin. 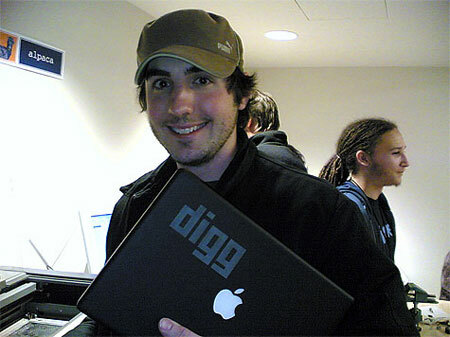 Could it be another shot at bringing Digg to life or another new success in the bag of Kevin Rose. Maybe things will get excited or maybe they won’t. We’re definitely waiting.